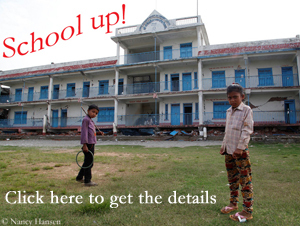 Once more it is served on Mount Everest. For three days, the Basque Alex Txikon, six Sherpas and two “Icefall Doctors” worked to restore the route via the Khumbu Icefall up to Camp 1 at more than 6,000 meters. 60 percent of the route had to be renewed, because the hard weather conditions of the past two weeks had left their mark in the ice labyrinth, the team of the 35-year-old Spaniard said. “It has been hard days refitting the route,” Alex noted on Facebook. 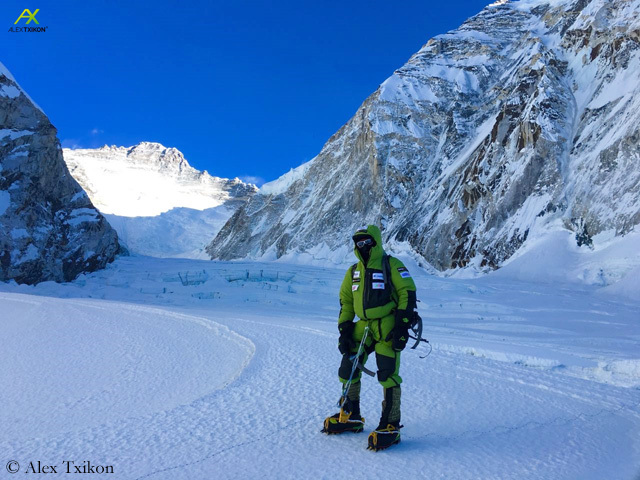 After today’s rest day, Txikon and Co. want to ascend tomorrow to Camp 2 at 6,400 meters. As reported, Txikon had had to interrupt his winter attempt involuntarily because the Nepalese expedition operator Seven Summit Treks had ordered the entire team back to Kathmandu after the failed first summit attempt. 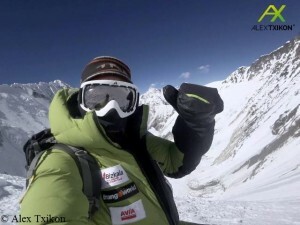 On Saturday, Alex had returned to the Everest Base Camp by helicopter. Sunny, but extremely cold. This is what the weather forecast predicts for the next days on Mount Everest. In addition, the wind is to refresh. Temperatures between minus 20 and minus 30 degrees Celsius are expected, Alex Txikon informs. In addition, the wind is to refresh. 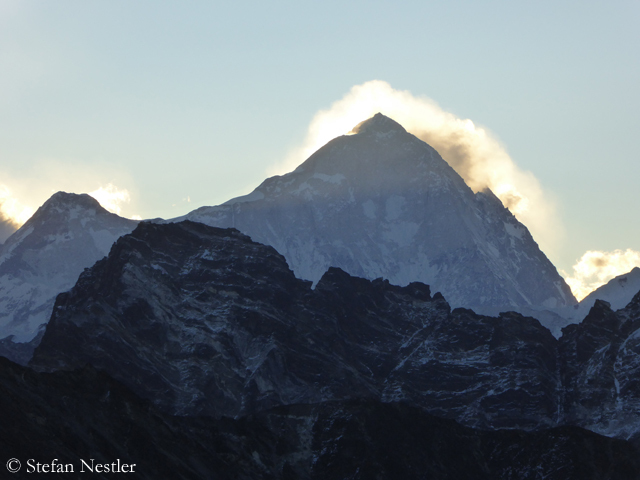 Nevertheless, the team set off from Base Camp today and reached after seven hours the site of Camp 2 at 6,400 meters. 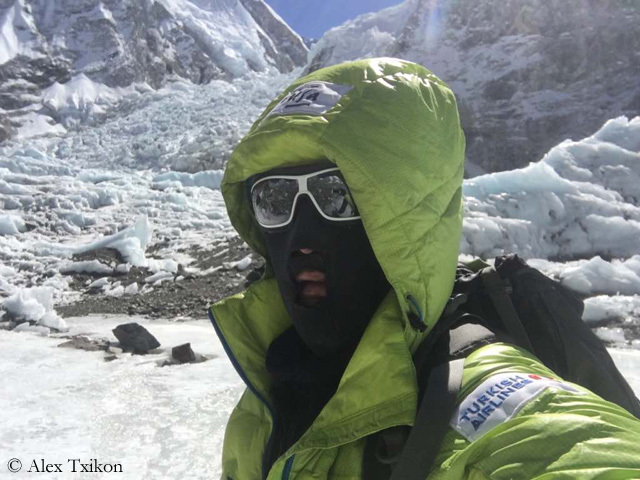 Alex, his Spanish countryman Carlos Rubio and nine Sherpas had previously secured the way through the Khumbu Icefall and pitched up Camp 1 at 6,050 meters, at the entrance of the Western Qwm. It was said, that the team might climb up even to Camp 3 at 7,400 meters within the next days. 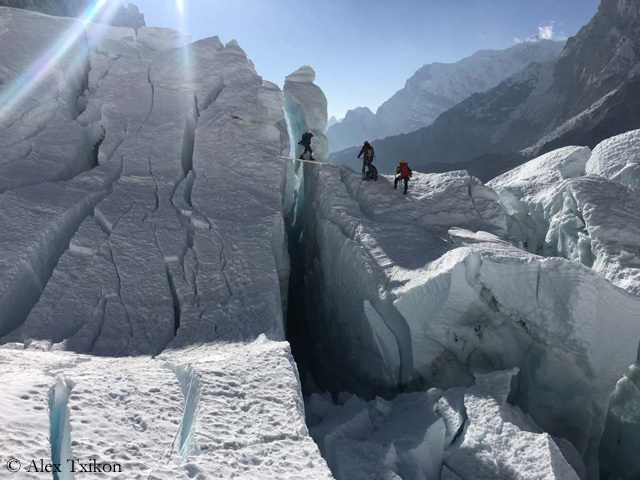 The climbers are expected back in Base Camp on next Sunday or Monday.